Since 1979, Tonya and Phillip Gerry have been dedicated to providing quality care and residential facilities for elderly people living with dementia in Plymouth. The couple now own four care homes, including Green Acres Care Centre, Thorn Park, Charlton House and Seymour Court, which are collectively known as Mannamead Care. With less than 50 residents in each of these homes, Mannamead Care values each and every individual by focusing on person-centred care with a family-run feel. Greenacres Care Centre is a 39-bed care home that is located in the suburb of Mannamead, Plymouth. Mannamead Care acquired, refurbished and reopened the home in 2014 after it was formerly owned by a large national group of care homes. Since then, Tonya and Phillip are continuing to invest in the facility and its residents which included an upgrade to the nurse call system in 2017. Phillip Gerry said: “When we acquired Greenacres in 2014, the home already had an Aid Call system installed, but by 2018 it was becoming quite outdated and we wanted to upgrade it to ensure we were benefiting from technological advances. And after comparing many systems, we decided to upgrade to Aid Call’s newest system; Touchsafe Pro. Both Aid Call and its Touchsafe system has been a great fit for Greenacres Care Centre. As soon as we made the decision to choose their system, Aid Call provided us with a timescale for installation and training, which was strictly adhered to. And that’s exactly what you need when running a care home as our priority is not to cause our residents any disruption. Care Manager for Green Acres Care Centre, Ewa Kalend, commented: “Each of our residents now has a call point in their room which they can press to trigger an alarm. Each call is visible on the managers panel, and when a staff member answers the call, they press the grey button on the call point to check into the room. This saves a lot of time for myself and the staff because who know who is checked into where at all times. Mannamead Care’s most recent project is the acquisition and refurbishment of a 34-bed nursing home which is located less than 1 mile from Greenacres Care Centre. Tonya and Philip reopened the formerly failing facility as Seymour Court Nursing Home in October 2017. Since the reopening they have continued to advance and upgrade many of the aspects of the home, including its ageing nurse call system. Although the system formerly installed was that of an alternative manufacturer, Mannamead Care decided to install Aid Call’s Touchsafe Pro in their newest home, having experienced its capabilities in Greenacres Care Centre. Ostley House is a 44-room residential home that is owned by Barrow and Districts Society for the Blind. It provides support, activities and residential care for those living with dementia and visual impairment within Barrow-in-Furness and the surrounding area. Barrow and Districts Society for the Blind bought Ostley House in 1967, and all funds generated by the home are reinvested in supporting work carried out by the charity. This includes extensive research into dementia and visual impairment, which has led Ostley House to become the first home of its kind to provide care for those living with a dual diagnosis of both. In 2017, the charity raised funds to replace Ostley House’s ageing nurse call with a system that could support the continued provision of exceptional care for the complex needs of its residents. Annmarie Taylor, Administrator for Ostley House, said: “I’ve worked at Ostley House for 9 years now and in that time, I’ve always worked with Aid Call systems. However, the reason we decided to go with Aid Call’s new Touchsafe Pro system was because of the knowledge and commitment of their team. Due to the challenges faced by those living with dementia and visual impairment, Ostley House must consider how every change to the environment will affect its residents. Each element of a room including the flooring, wallpaper and lighting is carefully chosen. Carl Hodge explained: “There’s a generational shift at the moment, so the residents coming to us now are very different to those we had 10 years ago. They all have different tastes, as well as dementia and sight loss. So, we must alter what we have in the home to suit everyone. Founded in 1945 by Sir Percy Malcolm Stewart OBE, 1st Baronet Stewart of Stewartby, and the Chairman of London Brick Company Ltd, the Sir Malcolm Stewart Bart General Charitable Trust is a private charitable trust controlled by its trustees. It has a collection of 86 warden controlled bungalows located in the village of Stewartby in Bedfordshire. The first phase of 24 bungalows were originally built in 1956 for retired employees of London Brick Company Ltd.
Sir P Malcolm Stewart wanted to offer his former workers a home that would provide a safe and friendly environment throughout their retirement. The trustees of Sir Malcolm Stewart Bart General Charitable Trust are responsible for maintaining the retirement bungalows and the surrounding grounds. This includes offering 24-hour support to everyone living on the site, which encourages the residents to live an independent lifestyle with the reassurance that assistance is available if they should need it. Debbie Hassall, Trustee and Bursar to the trust, looks after the day-to-day management of the site, and ensures the continued provision of an effective warden service. She believed that the former Nurse Call system that supported her Senior Warden and Deputy Warden was obsolete, and contacted Aid Call to explore alternative options. As the main point of contact for the Sir Malcolm Stewart Homes, Debbie is also responsible for providing regular updates to her fellow trustees. Debbie commented: “Thanks to Aid Call, myself and the trustees now have traceability across the entire site. Touchsafe is an extremely self-sufficient nurse call system which is a great relief for me. Our old system was very manual, and gathering the information to produce reports was a lengthy process. However, with Touchsafe I can now retrieve all manner of reports via my computer. I send those reports to the trustees as often as required, which gives them clear visibility of the work we’re doing. It was previously very ‘word of mouth’ and now we have actionable reports that give real-time information about our day-to-day activities. Following the successful installation of Touchsafe, Debbie considered additions to the system that could assist her more vulnerable residents with confidence or mobility issues. She decided to offer residents the option of wearing a Touchsafe pendant, which can be worn around the neck, and pressed if the user requires assistance. Debbie concluded: “Everyone is extremely happy with the new system, and all the feedback I have received from the trustees, our wardens and the residents is very positive. For over 30 years St Helena Hospice has helped local people across north Essex face incurable illness and bereavement. Their 15-bed Inpatient Unit in Colchester, along with out in the community care, provides end of life care and symptom management. 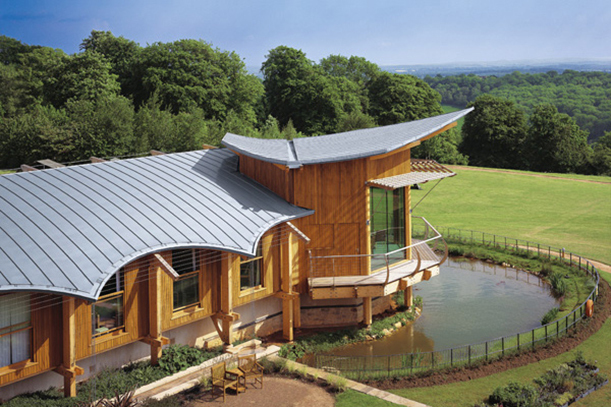 The hospice also offers an array of group activities in its Joan Tompkins therapy and wellbeing centre, which is separated from the main building by a pond. Patients can attend the centre for a day of respite, grief counselling, yoga sessions and even to get their hair done. Aid Call installed St Helena Hospice’s new Touchsafe system in one day, and the transition from the old system was immediate, which ensured they were not left without nurse call for any period. Karen added: “The silent option on the Touchsafe system is definitely a key feature for our hospice. There were a lot of complaints about the old system, particularly if the alarms would sound at night when patients were trying to sleep. In some cases, the loud alarms would even deter patients from pressing their alarm if they could hear others already being activated, and they wanted to wait until the nurses weren’t as busy. The paging system is another great addition as each nurse now has a pager to carry with them which alerts them to any call points or pendant alarms which have been activated on the site. Once a nurse is present and they press the call point, the other nurses are then aware that someone is with that patient. This saves a lot of time as we no longer have more than one nurse attending the same call. Quartz Electrical and Mechanical Services Limited provide electrical and mechanical services to industrial, commercial and residential customers throughout the UK, which frequently involves the design and build of large scale hospital projects for the public and private sector. 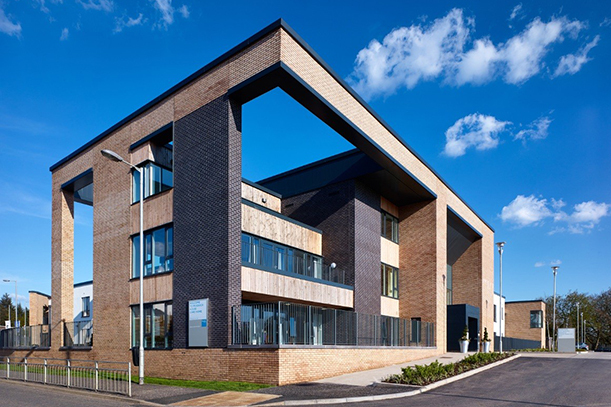 In 2016 the company was commissioned by Tolent Construction Limited to facilitate the design and build of a new hospital in Teesside, which joins their client’s network of 36 private hospitals across the UK. The brief for Tees Valley Hospital included a 19-bed patient ward, three medical theatre’s, x-ray and endoscopy departments, and two stage recovery areas, with medical gas services where required. The project required Quartz to design, install and test all of the mechanical and electrical services within the hospital to ensure they comply with Healthcare Technical Memorandum (HTM) guidelines, as well as the client’s specific requirements. This included the supply and installation of a Nurse Call system, for which Quartz released a tender. Aid Call’s Touchsafe Pro system does not rely on cables or stationary wiring points, making it infinitely expandable and allowing for complete flexibility and mobility. The wireless configuration allows the system to adapt to the ever changing priorities and demands of the healthcare sector, which is reassuring at a time of increased pressure on resources and environments. Gavin commented: “After sending our enquiry to Aid Call, Quartz liaised with their Senior Business Development Manager, Stuart Barclay, to discuss the requirements of the system and its operation. From this initial stage, we felt comfortable that the proposal put forward by their team was the best solution for the project. Aid Call and Quartz Mechanical and Electrical Services Limited began working in partnership on the installation of the Nurse Call system at Tees Valley Hospital in July 2017. Additional panels, call points and assistive devices can be added to Aid Call’s Touchsafe Pro system at any time during installation, and once the system is operational. The Nurse Call provider offers an extensive range of assistive technology such as fall detectors which facilitate individual patient requirements. Senior Business Development Manager for Aid Call, Stuart Barclay, said: “Working with a design team and contractor is great for us, as we can plan from the drawing stage. However once the system becomes operational, sometimes clients like to add an additional panel or audio visual lights. “After the installation at Tees Valley Hospital, the client requested an emergency paging system for all the wards to attend emergency calls, as well as a remote call point which could be attached to a mobile MRI unit which visits the hospital on a weekly basis. Tees Valley Hospital was completed in December 2017, and opened to its first patients in February 2018. St Oswald’s Hospice, situated three miles outside of Newcastle City Centre, cares for over 2,000 patients, visitors and relatives. They provide dignified care and compassionate support for patients living with a terminal illness. The hospice opened in 1986 with only 10 beds and the facility has since grown to include; a 15 bed In-Patient unit with additional units for Lymphoedema, Children and Young Adults. As well as offering an array of other services in the specialised Day Unit. In 2015, during a particularly heavy storm, a lightning strike unexpectedly hit the Newcastle upon Tyne facility causing unavoidable failure to all of the electrics and the Nurse Call system. Aid Call service engineers attended the Newcastle upon Tyne facility after it was struck by lightning to discover that its Nurse Call system was irreparable. They immediately installed temporary measures to ensure the safety of patients and staff on a short term basis, and once the property could be fully surveyed, the new Touchsafe Pro system was permanently installed in the In-Patient Unit. St Oswald’s Hospice had the new Aid Call Touchsafe Pro system installed in the Newcastle upon Tyne facility in 2016. Following the success of the Touchsafe Pro in the In-Patient Unit at St Oswald’s Hospice, the Newcastle upon Tyne facility is now looking to expand the system into its other units. Bushell House is one of the longest standing residential care homes in the UK, with a rich heritage that dates back to 1722. 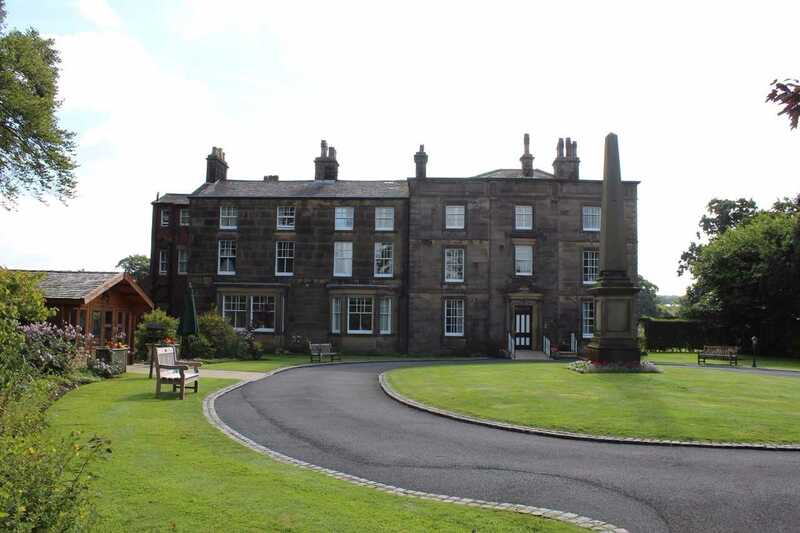 Situated in the beautiful village of Goosnargh, three miles north of Preston, Bushell House now homes up to 31 respite, convalescence and permanent residents, after opening its doors in 1743 as a charitable trust to care for the elderly. 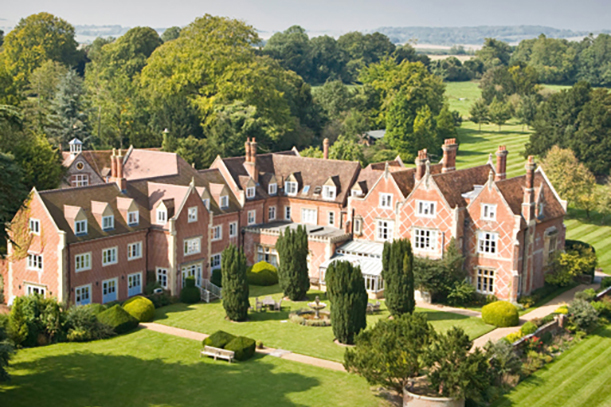 The trustees of Bushell House maintain the Georgian retirement homes extensive history whilst ensuring its residents are still provided with the best possible care. Responsibility for that care largely falls to Sue Barr, the Registered Manager for Bushell House, who often attends healthcare conferences to keep up with the latest developments in carer technology. As the care home has been using Aid Call products for over fifteen years, Sue frequently visits the Nurse Call providers’ exhibition stand, which is where she was introduced to the new Touchsafe Pro wireless Nurse Call system. Having been considering an upgrade to the current Bushell House system for some time, Sue requested further information about the new system, which ultimately prompted her decision to upgrade. Bushell House’s local Nurse Call and Assistive Technology specialist, Stuart Barclay, worked closely with Sue to ensure the Touchsafe Pro Nurse Call system would meet the needs of all her staff and residents. The installation and maintenance of the system was carefully planned to accommodate the requirements of all the individuals that depend on the service. The renovation of any element of a residential care home is a delicate process, as there are often many elderly residents continuing their day-to-day activities during the installation. Aid Call promised Sue that there would be minimal disruption to her staff and residents while the new Nurse Call system was installed. The Touchsafe Pro system utilises wireless technology, which limits disruptive installation because there is no need for cables to be fitted. Sue added: “Our previous system worked well for many years, but it was quite loud and my staff and I could continuously hear alarms going off throughout the residence, including in our break room which made the carers feel as though they didn’t get a proper break. With the silent feature of the new system, there’s no longer any unnecessary noise throughout the house which provides a peace and quiet that definitely makes it feel more like a home. 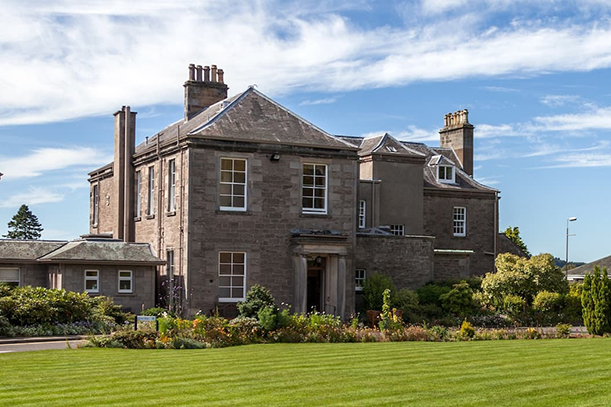 Originally the home of Bells Whiskey mogul A.K.Bell and his family, Kincarrathie House situated in the outskirts of Perth, Scotland boasts 6.5 acres of grounds and parklands including a walled garden, a memorial garden and a working vegetable garden with panoramic views over looking historic Perth. The home is owned and operated by the charitable Kincarrathie Trust who converted the property into a residential care home in 1961 and has since upgraded and extended the property to a 44 bedroom care home, offering care for elderly residents on both a long and short-term basis. Have you used Aid Call Products before? Mrs Maggie Kay Home Manager at Kincarrathie House said; I have been a long established customer of Aid Call, having first used the Aid Call’s Nurse Call System back in 1996, while working in another Care Home. I moved to Kincarrathie House in 2003 and found that the system in place was very noisy and in need of an upgrade. So I did my research and selected the most up to date system that was available at the time which was the Aid Call CP3000 system and J24 pagers. Why were you looking to upgrade your existing Nurse Call System? The Aid Call CP3000 system has been in place for approximately 14 years with very little problems. But was now beginning to need increasing maintenance so to ensure the best possible care for our residents, we felt the time had come look to upgrade our Nurse Call System. What features were important to you when choosing your Nurse Call system? I wanted a new Nurse Call System that incorporated new technologies but could be scaled up if needed. And could have additional devices added such as pendants or sensor mats because care needs have to evolve with our residents. The system had to be easy for both staff and residents to use, be reliable and simple to maintain. I particularly wanted to find a silent system as loud alarms can be very intrusive and can unsettle residents when active over a 24 hour period. I also needed clearly defined call logging for staff and of course cost implications were a big factor for us. Why was Aid Call selected as your Nurse Call System? Mr David Trodden Finance & Administration Manager at Kincarrathie House said; we selected the Aid Call TouchSafe Pro Nurse Call System and Blue Bell Pagers as they were the natural choice for us as we had a great relationship with Aid Call and have been extremely happy with the service provided over the years. The price quoted was very detailed and competitive and Aid Call delivered on all of their promises. What feature(s) of the new Aid Call Touch Safe Pro System have proved most useful? Mrs Kay said; the clearly defined level of calls indicating basic, assist and emergency calls help staff to prioritise calls and ensures superb response rates for our residents. The silent features of the system are extremely helpful to ensure residents are not disturbed with loud alarms. And the call logging features with data analysis is invaluable. The installation of the Aid Call TouchSafe Pro System went smoothly, the installation team simply worked around the residents causing little to no disruption and there was no damage to décor. I experienced no issues at all with the installation and the staff I worked with were all extremely helpful and professional. How did you find the training on the Aid Call Touch Safe Pro and Blue Bell Pagers? The training from the Aid Call team was in-depth, clear and concise. They spent time explaining all of the features and benefits of both the system and the pagers and were happy to answer any of our questions. How does the system benefit you and your staff? Staff now sign in and sign out of the Blue Bell Pagers which helps us to monitor and track call responses and timings and ensures data records are always accurate. This protects both staff and residents and ensuring that the right helps gets to the required location as quickly as possible. Residents like the fact that the call points are not fixed to the walls and can be moved around their rooms. The buttons are clearly marked and easy for them to use. They know if they press for assistance that staff will respond quickly which makes them feel safe and secure. What kind of service have you had from Aid Call over the years? The service and support that we have received over the years has been unrivalled from the Aid Call team, especially from both Chris Donnelly and Stuart Barclay. They regularly pop in and keep us up to date with any new developments in Nurse Call Systems and have also always been on hand should we require assistance. Working with Aid Call I have always felt like a valued customer. Would you recommend Aid Call? I have personally worked with Aid Call products and the team for over 14 years now and for me I think it is the best system on the market. The service is most definitely first class and I would recommend it to everyone. 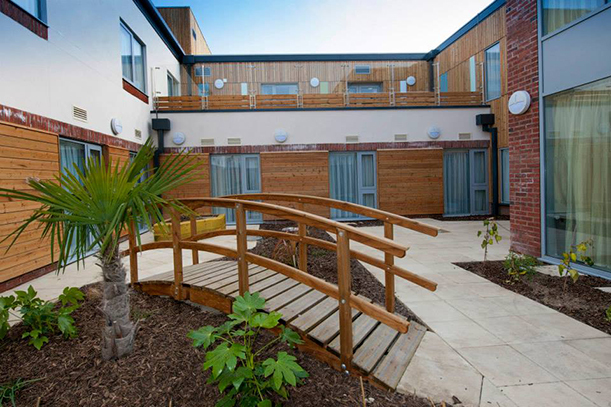 Mugdock House Care Home is a three-storey, purpose built facility providing care for people living with dementia. Construction of the 64-bed care facility is being implemented by Bupa Care Services and as well as offering dementia care the home will also provide specialist services for elderly people and those requiring general nursing care. Features of Mugdock House Care Home will include distinctive reminiscence activity areas, secure sensory gardens and memory boxes to help residents connect with the past. The site will also include a range of high-quality features, such as wet rooms, Wi-Fi access, a hair salon and a therapy room. The care home is conveniently situated close to high street amenities and is within close proximity to transport links to Glasgow City centre. Scotland’s leading construction company, Dawn Construction is the main contractor on the project, whilst world-class architectural practice Archial is the architect. Once complete, the new care home will form part of a much larger development which will include St Andrew’s Primary School, Bearsden Community College and a residential housing development. The construction of Mugdock House Care Home will also create 90 much needed jobs for the local area. Mugdock House Care Home has been specifically designed to encourage residents to engage with their surroundings and as such decorative features will include eye catching pictures colour co-ordinated corridors and signs to help residents manoeuvre around the building. All of the bedrooms will be fully furnished – many including patio doors branching into the gardens – whilst large communal areas will include spacious lounges and dining rooms. An activity suite will cater for a varied selection of activities – including home baking – and family rooms will provide overnight accommodation for residents’ guests. Additional features of Mugdock House Care Home include a cinema and audio visual suite. Work began on the project in November 2011. To mark the occasion local pupils from Bearsden Primary School attended an official ‘ground breaking’ ceremony in order to bury a time capsule on the site. As the event also coincided with the school’s 100th anniversary, pupils attended the ceremony decked out in centenary costumes. Over 40 guests attended the ceremony, including Bupa Chief Executive Ray King and after the time capsule was buried guests were taken to Bearsden Town Hall where they were encouraged to take part in Bupa’s ‘Your Memories Matter’ campaign. The campaign encourages people to share their memories in order to help those who may require specialist dementia care in later life. “This will be a very special home in the heart of the local community. As experts in caring for elderly people and those living with dementia, we are proud to be offering the residents of Bearsden and Milngavie not only the very best facilities but the highest standard of care and support. Bupa is the UK’s largest provider of dementia care, caring for over 2700 residents in Scotland and employs approximately 3300 members of staff. With no shareholders, Bupa is able to invest its profits to improve the services and amenities offered to its residents and to help improve the standard of care for older people. Bupa care homes are open to everyone – with over 70% of UK residents receiving state funding – and in addition to its UK coverage, Bupa has facilities in Spain, Australia and New Zealand. Bupa’s purpose is to help people lead longer, healthier and happier lives and the new care home in Bearsden will help the group to continue to achieve this goal. Work on Mugdock House Care Home is scheduled to reach completion in early 2013. Vida Hall Care Home is a 70 bed specialist dementia care home in Harrogate, North Yorkshire and is the first of a number of Vida Healthcare’s homes planned across the Yorkshire area. It currently employs around 40 members of staff and is in the process of recruiting that number again to be able to meet the needs of residents when the home is at capacity. Jill Young, Operations Manager at Vida Hall said: “We installed Aid Call’s Wireless Nurse Call system in the home during the final stages of construction and it was fully fitted and up and running before we opened. It was imperative for us to have a state-of-the-art nurse call system in place from day one. “The installation process took around 10 days from start to finish, including the fine tuning and final adjustments that the Aid Call team were happy to make. “We looked at a number of systems before deciding on Aid Call’s Wireless Nurse Call system as we needed one which would adapt to our specialist requirements. The main attraction for us was its capability and capacity for the future. We wanted to install a system that was future-proof and would be adaptable to the changing need and demands of our client base. Aid Call’s was the only system intuitive enough to be able to cope with our requirements both now and in the forthcoming years. This was vital to us as our clients’ needs may become multi faceted and more complex and we have to account for the role that telehealth technology will play in the future. “However it’s not a complex system to use and operate. Our staff have had two, short training sessions on the system and are quite confident with using it. Aid Call’s technicians were also very helpful and well informed. They were responsive to our needs and happy to make adaptations where required. “The simplicity of the system and its ability to meet our needs now and for many years to come, with its future-proof technology, is what convinced us to install Aid Call, and we’ve not had cause to regret that decision. 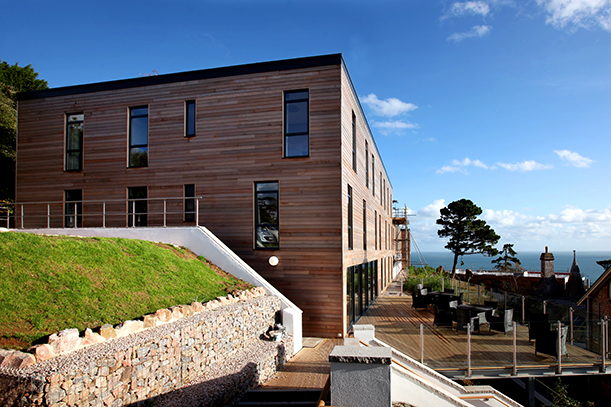 Located in Torquay, Lincombe Manor retirement village is set in the beautiful mature ground of a magnificent Grade II listed Manor House which offers breath-taking views out to sea. 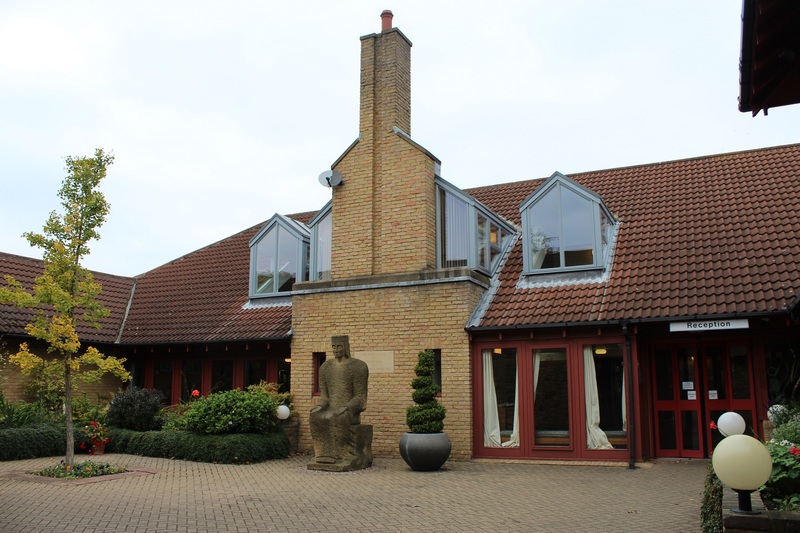 Lincombe Manor Care Centre combines spacious, luxury accommodation with the latest modern facilities in a beautiful setting and offers the best possible residential and nursing care, to an exceptional standard of living. Manor Life invited tenders through its procurement framework to deliver a safe and secure wireless nurse call system, facilitating the opportunity of enhancing their resident’s independence and well-being to an exceptional, secure standard of living. The site required equipment to be installed in their delightful 41 en-suite private rooms, which has been furnished by professional interior designers, featuring the highest standard in fixtures, fittings and fabrics. Aid Call were able to offer our latest Touchsafe® range which provides the most advanced safe and secure features to ensure extra patient safety and reassurance that care management and staff can respond to any event quickly and efficiently. A further 10 bed apartments at the village also required a complete telecare package, designed to be both compact and durable. Aid Call was able to offer a ‘remote monitoring system’ inclusive of state of the art design features and functionality, making life simpler for the staff and safer for the residents to use. The Amesbury Abbey Group prides itself on being able to offer exceptional, luxury, retirement living schemes. Each establishment provides a secure and independent lifestyle, whilst retaining those many thoughtful touches that make everyone feel truly special and at home. The Group’s Nursing Homes and Independent Retirement Living Schemes all provide individuality and style that only a family-run business can offer. The Amesbury Abbey Group has been associated with Aid Call for many years. David Cornelius-Reid, General Manager, commented “In those early days, when it was almost a ‘cottage industry’ we took a leap of faith and decided to renew our existing hard wired nurse call system with a new, state of the art wireless system. This was the beginning of a very strong and on-going relationship with Aid Call and the various staff members including management, sales and the day to day office staff. The original product, a CP2000 was so good that it was only recently that we made the decision to upgrade the system in two of our homes, and this was due to a lack of spare parts for the old system. This resulted in us placing an order for the latest Aid Call Touchsafe® Wireless Nurse Call system as we needed to ensure that our clients had the best and safest means to summon a member of staff. Our view was that we should put faith in Aid Call once again and we were confident that the latest nurse call system would see us through many years of use. The new systems are now installed, with the backup and support of a first rate after sales team who ensured that any issues we had after the system went live, were dealt with swiftly. This, I have been particularly impressed with. Our new system now offers a far better way forward for both resident and staff. Our residents have the reassurance that help is at hand, with a product they find easy to use, and our training manager has an instant audit tool at her disposal to ensure that calls are answered in good time. Furthermore, we can provide clear records to demonstrate best practise at the touch of a button”. Dorothy House hospice provides 24-hour hospice care, aimed to improve staff efficiency and integrate building communications into a single system. This required the functions of the existing telephone, nurse call system, building security and fire alarm systems to be linked together. The existing telephone system was ten years old and lacked functionality, the same was true of the existing nurse call system which was inflexible with poor battery life and had limited support in the event of failure. Having invited tenders through a procurement framework, the specification required South West Communications Group to proactively adopt the best use of modern technology and particularly wanted to make use of special features, including automated attendant, voicemail, hunt groups and call line identify, as well as integrating the nurse call and fire alarm systems. However, the hospice did not want a system that was complicated to use. The desired solution, although technically complex was designed to offer a cost effective, easy to install and to maintain system which operationally was easy to use by both staff and patients. The Aid Call Touchsafe® wireless nurse call was chosen as it gave patients an easy-to-use, safety compliant, call system to summon assistance. The solution provides true reassurance to the user, as it informs them that their call has been securely received, using the unique two-way call point transmissions. The nurse call system comprised of a bedside pear push points and bathroom pull cords which alerts staff for assistance. With a centrally placed display panel and full alpha-numeric screen, it shows room/location, and resident's names so that staff can clearly see who is calling for assistance. The panel also provides staff with an on-screen mapping facility, medical reminders and a full audit trail of all systems activations and events. The flexible nature of the wireless nurse call system allowed complete integration with the telephone solution and portable 'DECT' handsets, this enabled staff to receive alarm notifications wherever they were working within the hospice. 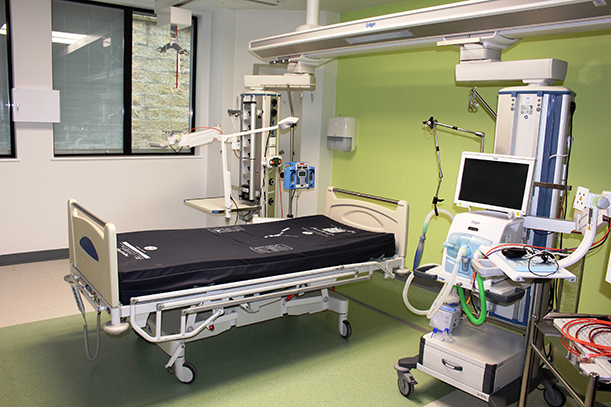 The integrated design of the system meant that staff could go directly to the patients' room rather than having to detour to nurses' station, improving their effectiveness and patient response. Also providing integration to the building fire alarm systems, both the nurse call system and the DECT handsets provide staff with a vital safety notification facility. South West Communications Group is delighted with the solution, as it met Dorothy House hospice specific requirements, transforming the way communications are managed for both patients and staff. It has provided them with a highly functional integrated system that is easy to use and maintain whilst providing them with a scalable platform that they can build on in the future.